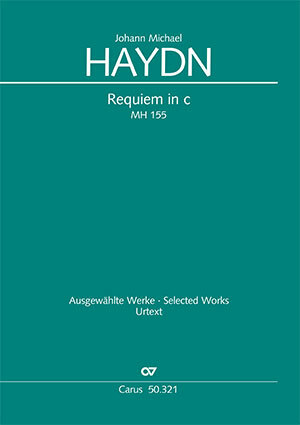 Johann Michael Haydn’s Requiem in C minor heavily influenced W. A. Mozart’s Requiem. In just two weeks Michael Haydn composed his work in December 1771, on the occasion of the death of his employer, Prince Bishop Sigismund Count Schrattenbach, who was beloved among the people and was a great patron of the arts. The work was written under the impression of personal tragedy: Haydn’s only child, Aloisia Josepha, died in January 1771, before completing her first year of life. Parts of the Schrattenbach-Requiem were played together with the completed movements from his second, unfinished Requiem during his own furneral service. 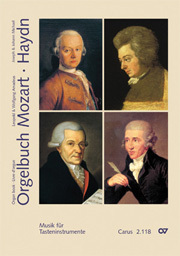 During the funeral service in Vienna for Joseph Haydn, parts of his younger brother’s C-minor Requiem were also performed.